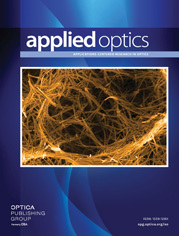 The authors are with the Applied Optics Laboratory, Physics Department, Indian Institute of Technology, Madras, Chennai 600 036, India. The Ronchi grating is well known for its many applications in areas such as spectroscopy, grating interferometry, and Talbot interferometry. On the other hand, the checker grating has attracted very little attention. A checker grating also self-images at equidistant planes; the separation between these planes is a quarter of the Talbot distance of a Ronchi grating of the same period. To understand this and several other features, a transition from Ronchi grating (a one-dimensional grating) to checker grating (a two-dimensional grating) has been both theoretically and experimentally studied and results are presented. Because the checker grating self-images closer to the grating and its transmittance is higher than that of a Ronchi grating, the use of its self-image planes for array generation is also emphasized. (2) m = 0 and n ≠ 0 = q, or vice versa exp[-i π(λ/d2) q2z] = exp(i2pπ), where p = ±1, ±2, … Eq. (3) identical to Eq. (5) if the Talbot distance is zT = 2d2/λ. [1 + (-1)m + n] = 0 because m, n can have only odd values. Therefore Eq. (3) is identical to Eq. (5). (3) m ≠ 0 and n ≠ 0 exp[-i π(λ/d2) (m2 + n2) z] = exp[ i2pπ], where p = ±1, ±2, …. Although this condition is satisfied for zT = d2/λ, the Talbot distance is zT = 2d2/λ because this satisfies both condition 2 and condition 3. exp[-i π(λ/d2) (m2 + n2) z] = exp(i2pπ), where p = ±1, ±2, …. Eq. (3) is identical to Eq. (5) if the albot distance is zT = d2/λ.